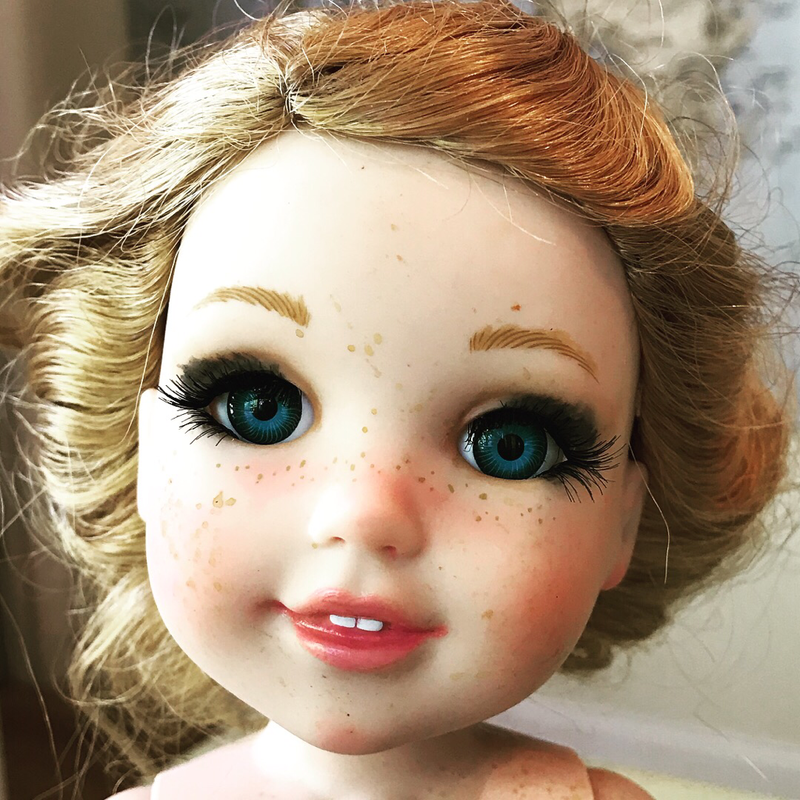 A Wellie Wishers doll with real lashes. 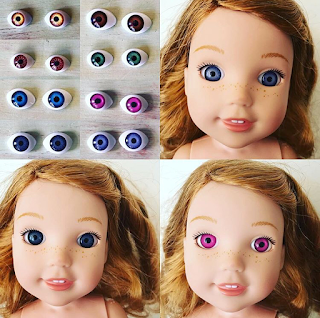 I am happy to announce my newest flat back stationary doll eyes have arrived! This represents one more step toward the fulfillment of my wish to offer my own line of custom doll supplies! These eyes are sized to fit American Girl Wellie Wishers and other vinyl dolls with oval 16mm eye pockets. You can also use eye setting putty to use them for bjd, reborn, and other dolls with an open socket. The new colors are pink, lavender, and gray, bringing my offering to eight colors total! I am currently listing these on eBay and Etsy. If I can keep them in stock well enough I will add them to this website soon. You can link to all my shops from my website.